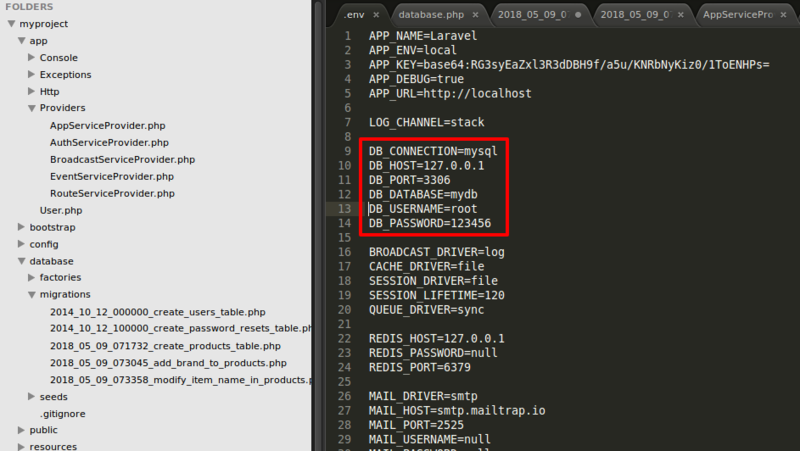 Connect your database with your application from /config/database.php file. 2. Create migration files: This will create migration files in /database/migrations folder where you can give schema or data for tables. down-> executed when migration rolls back. 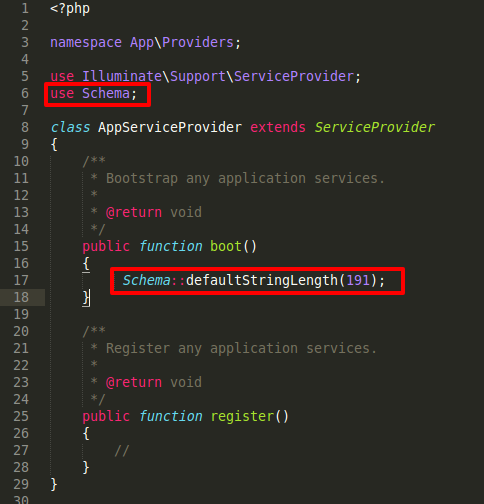 Add marked lines in this screenshot in /app/Providers/AppServiceProvider.php. Add this marked line in /database/migrations/xxxx_xx_xx_xxxxxx_create_users_table.php file. 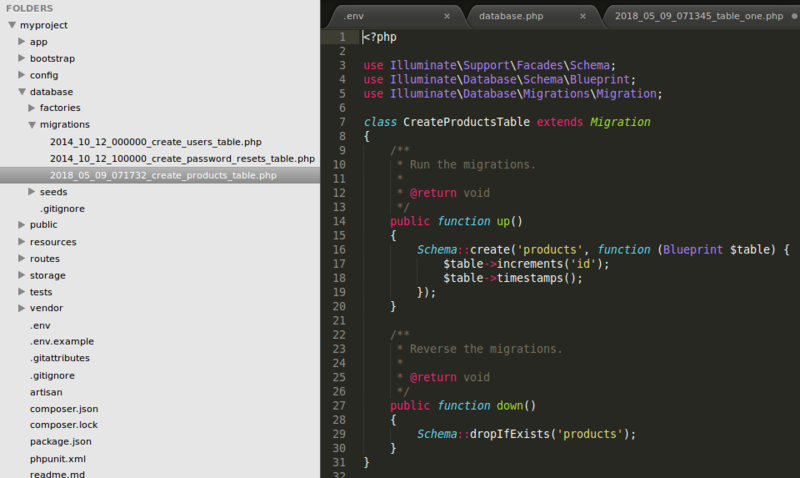 Now again run php artisan migrate command on terminal. 3 tables will be created in your database. Open phpmyadmin and check your table, it will contain users, password_resets and products tables. This will run all down functions from migration files. Now, open phpmyadmin, you will see that there is no table in your database. 5. 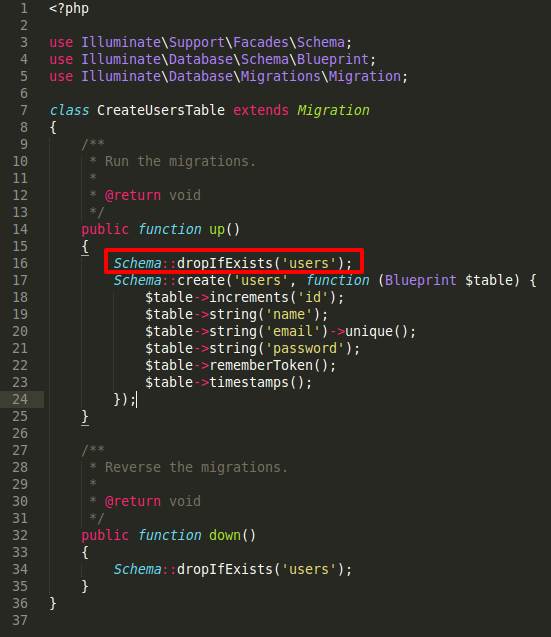 Add/Remove columns using migrations: Run the following command to create a new migration file in /database/migrations folder. Open your phpmyadmin, you will see a new column ‘brand’ in products table. This command will create a migration file where you can modify columns of products table. 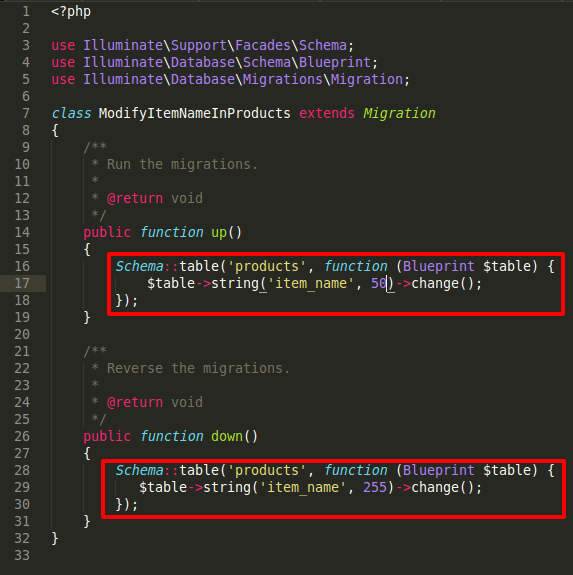 In migration file, add following code marked in below screenshot. 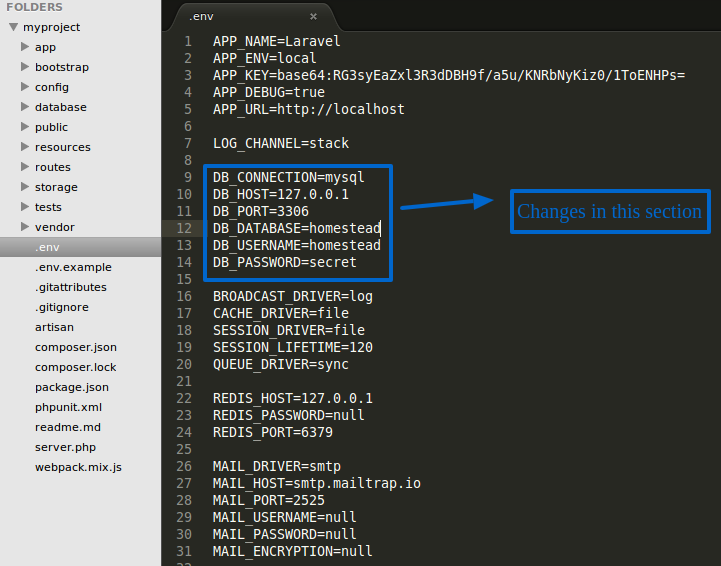 maintains the varchar data type and sets the character limit to 50.
will rollback the migration to the previous state. 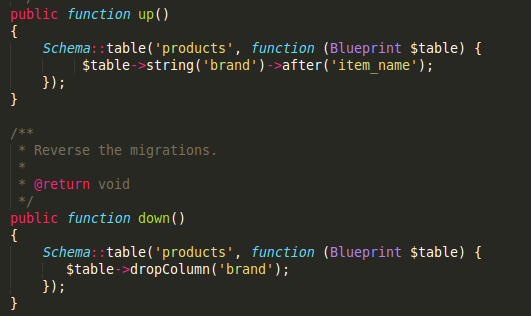 After writing code to modify the table columns, run php artisan migrate command in terminal to make changes in your database. You need to install Doctrine Database Abstract Layer DDBAL in Laravel before we can change columns. 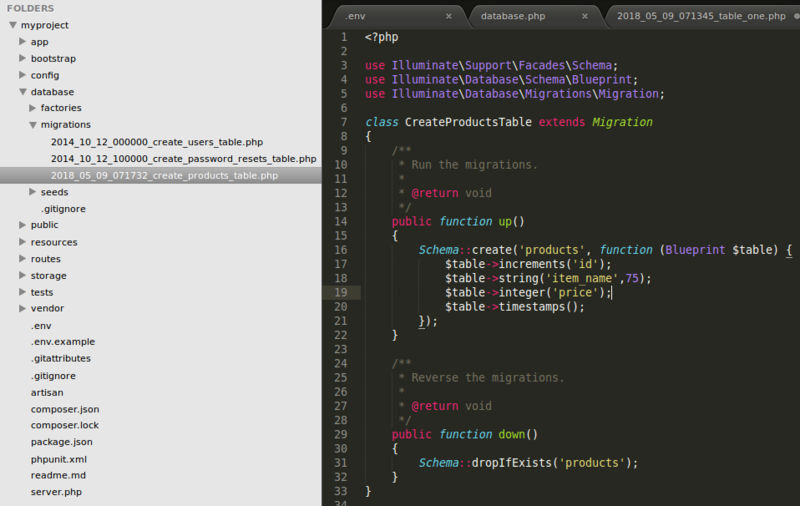 DDBAL is used for Laravel migration alter table tasks. You will see following process during installation. Once done with this. 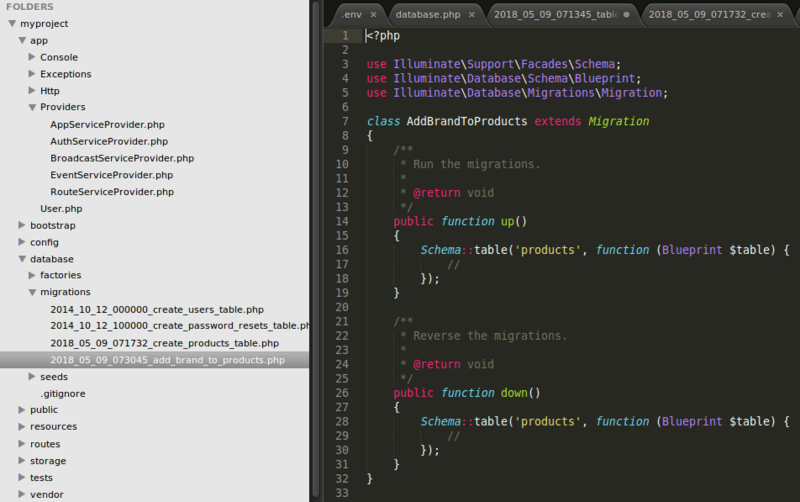 Again run php artisan migrate command. Now the changes will be reflected in products table in phpmyadmin database.